Deciding which vendor to go with may be one of the most challenging parts of selecting a Learning Management System (LMS). Now you’ve chosen your system it’s time to implement it! For smaller organizations with a straightforward use case, implementation can be achieved very quickly. Will you be using one portal or multiple? An organization that is training their internal staff may only need one portal - and can then use groups to segment users. If you need to train customers, partners or resellers then a multi-portal setup is best. In this case, you will have one top-level portal and a series of ‘sub-portals’. The top-level portal is the brains of the operation controlling your eLearning ecosystem. 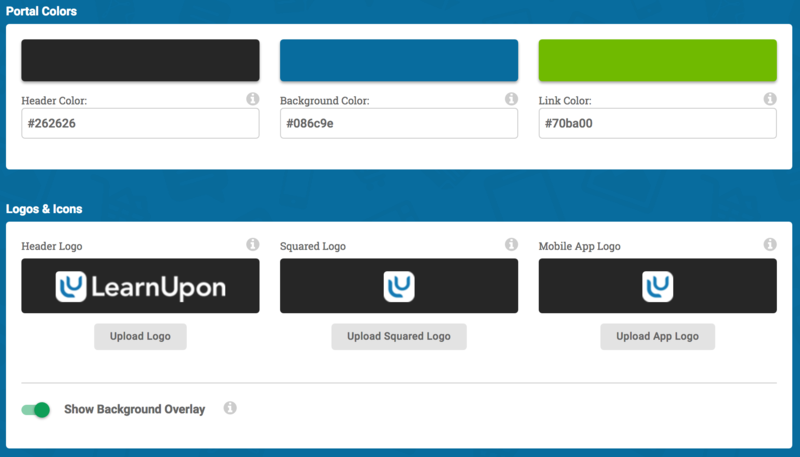 Each sub-level portal can be configured and branded depending on your audience's requirements. If you need a number of sub-portals - get out a notepad or whiteboard and plan out your structure. Banner images - these images are displayed on the user's dashboard. They can be static or multimedia-based and are a great way to inform your learners of training programs and initiatives. Course thumbnails - You’ll need thumbnail images for each course to indicate the subject matter. These images are great for capturing your learner’s attention and illustrating what the course topic is about. Do you need to white-label your portals? White-labeling places the LMS on a custom domain that you control.If you provide training to external audiences you may want to remove LearnUpon's branding and present the LMS as your own. Make sure you’ve reviewed the white-labeling process in our knowledge base to ensure you have this setup before your go-live date. Course creation is often a bottleneck in the implementation process. Identify the type of courses you need to achieve your goals and the resources you have at your disposal. You may already have all of the materials you need ready to upload! Upload content which has been created with an authoring tool - these eLearning standard formats include SCORM and xAPI. Always check your content is compatible with your LMS. For example, LearnUpon is compatible with SCORM 1.2. What structure will your training program have? Some organizations create individual courses per topic that a learner has to complete. These are built from the types of contents mentioned above. A simple course structure: Presentation - Video - Exam. A Learning Path is a selection of courses tied together for learners to progress through, mastering a particular subject or program. Incorporating Learning Paths involves taking the courses you have created and arranging them in an order that achieves the desired workflow. Using Learning Paths allows you to create structured training programs. Are the courses delivered to learners actively or passively? Enrollment - individually or by group. The learner will find the course on their dashboard ready to take. Catalog - can be portal wide or limited to a group. The learner can select courses from the catalog section of their dashboard. Purchased - requires eCommerce feature to be turned on. A learner is automatically given access to the portal and course(s) as soon as they purchase. How will you add users to the system? With a system like LearnUpon creating a user and giving them access to the portal just takes a couple of clicks. This approach may not scale very well, however. If you have large volumes of learners to train you can integrate with your HRIS or CRM to automate the process. This way your users are automatically generated and updated. How will your learners access the LMS? Making it convenient for users to log in to the system is really important for adoption and continuous use. Single sign-on: allows your learners to click through to the LMS from another system without a second set of login details. Each role in LearnUpon comes with different powers and more importantly, different responsibilities. You can change a user’s role at any point. Administrator: Oversees the LMS configuration, reporting etc. LearnUpon is built so that a small number of admins can oversee a large number of learners. Only give admin access to those who really need it. An admin of the top level portal can oversee all portals. Manager: Manages groups that they are assigned. A manager’s permissions can be adjusted granularly. They can run reports on their groups ensuring steady progress. Instructor: Create and manage courses, receive assignments and facilitate your Instructor Led Training (ILT). If you need to integrate with 3rd party systems the most important consideration is whether you will require technical help to achieve this. Some integrations have been ‘productized’ and can be set up by an admin simply by following the on-screen instructions. For example, to set up our integration with GoToMeeting all you need is your account login details. If you want to connect your HR system or CRM you can use our open-ended API. A member of your technical team can use the API to link the two systems, synchronizing data and performing certain actions. Make sure you have all of the API documentation ready for that team member and that they have reviewed it to ensure there are no problems when it comes to integrating the two systems. The true value of an LMS is the reporting suite, so make sure you have a clear picture of your reporting structure before you go live. Admins can run reports on all users, courses etc. Learners can see their own course progress, completions, certificates, badges etc. Reporting data can be sent to third-party systems if an integration has been set up. For example, with our Salesforce integration, reporting data can be synchronized with your Salesforce account to house that data alongside other information. You can also schedule reports to send automatically to specific users on a regular basis. 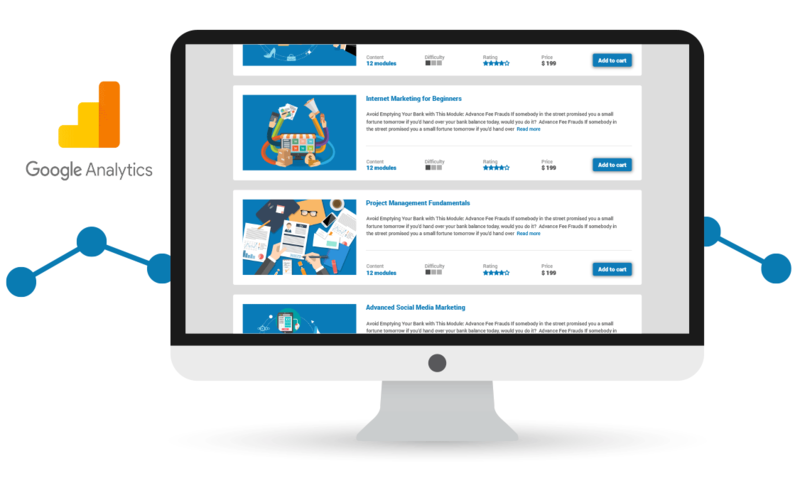 If you want to sell courses online you can create a storefront where you can make your courses available for purchase. Gamification is a great way to motivate learners. You can reward learners for completing activities, courses and Learning Paths with badges and points. To set this up you’ll need to turn on gamification and attach badges and points to courses and specific activities. You need to identify the type of behavior you want to encourage and let leaderboards and the collection of badges motivate learning activity. This will achieve greater levels of engagement with the LMS and your courses. Now that you have a checklist, the last piece of advice is for you to balance what you need now versus what you’ll need from the LMS in the future. Sometimes prioritizing the “Go Live” date means that you’ll have more than one phase of implementation. You may, for example, start creating courses with our course builder whilst producing SCORM content separately. Or you could choose basic course structures initially and then iterate to produce Learning Paths and gamification elements. Don’t forget, our customer success team will help by giving you guidance to ensure you have a smooth and successful implementation!